Well, after that hymn, referring to the saints as stars, that dramatic Apocryphal Old Testament reading in the Church of Ireland lectionary for Morning Prayer this morning [20 February 2017], where Wisdom herself could be walking the red carpet into the Oscar awards next Sunday evening, and that prayer referring to interstellar spaces and galaxies, we are going to turn to the Stars … the Stars of Hollywood and the movies. Two of the movies up for Oscars this year are worth considering for the spiritual values they explore and debate. Loving tells the story of the beautifully-named Richard and Mildred Loving, the plaintiffs in the 1967 US Supreme Court decision Loving v Virginia, which invalidated Virginia’s so-called anti-miscegenation laws. Ruth Negga was born in Addis Ababa, but is from Limerick. Many of the people who defended laws against marriages like this, in the US, South Africa, and many other places, invoked arguments that found Biblical justification. So this a movie that talks about the values of love and marriage, but also asks who should be married, and asks deep questions about when it is right to disobey the law and how we should disobey unjust laws. Silence stars Andrew Garfield, Adam Driver, Liam Neeson, Tadanobu Asano and Ciarán Hinds. This is an historical drama based on the 1966 novel by Shūsaku Endō. The story is set in Nagasaki, and tells the story of two 17th century Jesuits who travel from Portugal to Japan to search for their missing mentor and to work as missionaries. I do not want to spoil the plot for those of you who want to see this movie. But it tells how an Italian Jesuit, Father Alessandro Valignano, receives news in Macau that Father Cristóvão Ferreira, a Portuguese Jesuit in Japan, has renounced his faith after being tortured. Two of Ferreira’s Portuguese students, Father Sebastião Rodrigues and Father Francisco Garupe, set off in disbelief to find him. Their guide is Kichijiro, an alcoholic fisherman who fled Japan and who turns out to be a Christian who renounced his faith to save himself. In the village of Tomogi, the two priests find a local Christian community that has been driven underground. They welcome the priests, who administer the sacraments to them. Some of the villagers are caught, strapped to wooden crosses on the beach and placed in the ocean, where the tide drowns them. They are then cremated on a funeral pyre so that they cannot receive Christian burials. In his search, Father Sebastião struggles with the dilemma whether it is self-centred and unmerciful to refuse to recant when doing so will end the suffering of others. He is captured and taken to Nakasaki, and is told other Christians will suffer unless he renounces his faith. Kichijiro, who had betrayed him, reveals he is a secret Christian and asks to be jailed, to be absolved of his betrayal in a confession, and is given absolution. He is released after agreeing again to step on a crucifix, symbolising his rejection of the faith. Father Sebastião is brought to see his lost companion, Father Francisco, who is drowned trying to rescue another prisoner. 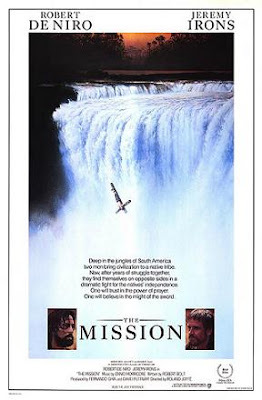 Later, Father Sebastião is taken to a Buddhist temple where he meets the missing Father Cristóvão Ferreira (Liam Neeson), now known as Sawano Chūan. He says he committed apostasy while being tortured. He declares that after 15 years in Japan and a year in the temple, he believes Christianity is a lost cause in Japan. To cut a long story short, Rodrigues too turns his back on Christianity, settles down to live a Japanese life and marries. When he dies, he is placed in a large round wooden coffin and his body is cremated. In his hand is a tiny crudely-made crucifix that was given to him when he first came to Japan. Scorsese’s central theme about the conflict between adhering to one’s sacred vows and traditional beliefs and doing the right thing, the prudent thing, the moral thing, on a very pragmatic level. It asks questions about mission and whether we made Christianity captive to European culture, it asks questions about interfaith relations and the values of other faiths, and it should make us reflect on what risks we would take and what lengths we would go to for our faith. What is martyrdom, and what is it worth? There are asides too that I find engaging, such as Father Sebastião’s fascination with the face of Christ, which he visualises in the form seen in El Greco’s painting, La Verónica, in turn based on a traditional Greek icon. The painting is in the Ajuda National Palace, Lisbon, Portugal, and is the only painting by El Greco in Portugal. Although it was filmed in Taiwan, I was interested its Japanese setting, because I heard many stories like this when I was a student on a fellowship in Japan back in 1979. I knew a journalist from Thailand who was a fellow student in Japan at the time. He displayed such a great familiarity with the Bible that I asked him about it. Was he a Christian? Had he read the Bible thoroughly? Was he a daily Bible reader? I knew he had never studied theology. How many of you have seen Exodus, the epic movie that was launched before Christmas two years ago with the hope of taking the place of Cecil B De Mille’s Ten Commandments in our collective, cultural consciousness? Perhaps more of us by now have seen Noah, the American epic biblically-inspired film directed by Darren Aronofsky, written by Darren Aronofsky and Ari Handel, and based – or supposedly based – on the story of Noah and the Ark. One reviewer called the flood scenes in that movie ‘a bit too Cecil B Demented for me’ and wondered at the sophistication of antediluvian orthodontists given there are so many white-toothed characters. I find it very peculiar that production was put on hold in 2012 while Hurricane Sandy hit New York with heavy rain and flooding. This movie had mixed receptions after its release three years ago (2014). The Archbishop of Canterbury, Justin Welby, called Noah ‘interesting and thought-provoking’ and ‘impressive’ after Russell Crowe visited him at Lambeth Palace to discuss ‘faith and spirituality’ (Church Times, 4 April 2014). Rabbi Shmuley Boteach, a leading Orthodox rabbi, described Noah as ‘a valuable film, especially for our times.’ Indeed, Darren Aronofsky said he had worked in ‘the tradition of Jewish Midrash’ in order to create ‘a story that tries to explicate Noah’s relationship with God and God’s relationship with the world as it has become.’ The name of Noah’s wife, Naamah, does not appear in the Bible, and Aronofsky derives it from the traditions of the Midrash. Another recent movie was Calvary (2014), an Irish-made black comedy drama starring Brendan Gleeson, Chris O’Dowd, Kelly Reilly, Aidan Gillen, and Isaach de Bankolé. Brendan Gleeson plays Father James Lavelle. A good priest intent on making the world a better place, he is continually shocked and saddened by the spiteful and confrontational inhabitants of his small country town. One day, his life is threatened during confession, and the forces of darkness begin to close in around him. 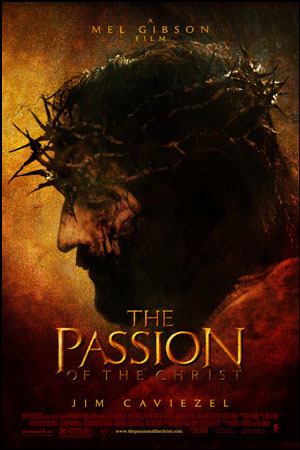 Many years ago, I brought my two sons to see The Passion of the Christ (2004), Mel Gibson’s movie that dramatises the passion narrative in the Four Gospels. ● Is it a story of life and death, self-sacrifice, and of giving, emptying love? Corley, Kathleen E, and Webb, Robert L, Jesus and Mel Gibson’s The Passion of the Christ (London/New York: Continuum, 2004). Denizen, Norman K, Images of Postmodern Society: Social theory and contemporary cinema (London: SAGE Publications, 1991). Johnston, Robert K, Reel Spirituality: Theology and Film in Dialogue (Grand Rapids: Baker Academic, 2000). McLaren, Brian D, The Church on the Other Side: Doing ministry in the Postmodern Matrix (Grand Rapids: Zondervan, 2000 ed). Pecklers, Keith (ed), Liturgy in a Postmodern World (London and New York: Continuum, 2003). (Revd Canon Professor) Patrick Comerford is Lecturer in Anglicanism, Liturgy and Church History, the Church of Ireland Theological Institute. These notes and handouts were used in a presentation in the series of Monday morning reflections on Spirituality with MTh students on 20 February 2017.